LOS ANGELES -- Los Angeles will honor the Pixar movie "Coco" by declaring Tuesday as "Coco Day." Councilmember Gil Cedillo will declare the special day during a ceremony starting at 9 a.m. at City Hall. The celebration also comes on the day the movie will be released on Blu-Ray and DVD. Director Lee Unkrich, producer Darla K. Anderson and actor Anthony Gonzalez (who voices main character Miguel) will be in attendance for the ceremony, along with other cast members from the movie. The Mariachi Divas will also be on hand to perform "Un Poco Loco" and "Remember Me," which has been nominated for an Oscar for best original song. 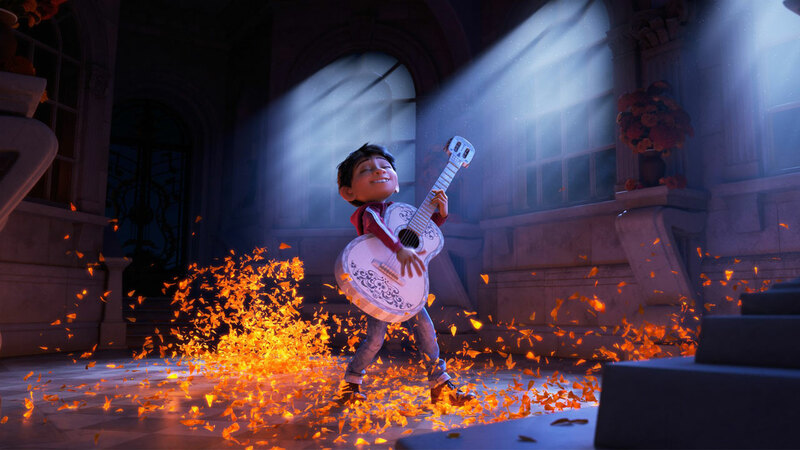 "Coco" focuses around 12-year-old Miguel who ventures into the Land of the Dead on Dia de los Muertos. It features a predominately Latino voice cast, with many of those actors having grown up in Los Angeles. In addition to the best original song Oscar nomination, the movie is also nominated for best animated feature film. "Coco" became the highest-grossing movie of all time in Mexico.